On Thursday 3rd November, at 9am Minister Marie-France Lalonde MPP on behalf of the Ministry of Government and Consumer Services will be making an announcement that Ontario will be moving forward with plans to introduce proposed legislation that would, if passed, regulate the province’s home inspection industry. As a valued stakeholder members of OntarioACHI have been requested to attend. 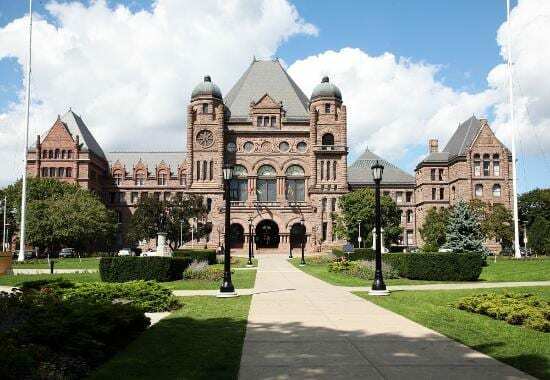 It is our belief that the minister will be introducing a government bill to the assembly later on Thursday, which initiate the enacting of regulation of the home inspection profession in Ontario. If this is passed by the assembly, and prior attempts by private members have seen all party support, this will start the process of development of the regulations. All members should take the time to log into their accounts and ensure their profiles are fully up to date. This includes all CEU and CPD credits as well as police background checks and annual updates as required and any insurance coverage held. Your association will be pushing to ensure CCHI designated members are recognised for the skills and experience they have proven as part of the programs audit process. Bill 119 Report: Is belonging to an Association worth it? Are you qualified for the CCHI? The Canadian Certified Home Inspector (CCHI) designation is a stringently audited designation. It is a confirmation to your clients that you take your profession and their business seriously. You cannot buy this designation, you have to prove you have the proper skills, education and professional attributes to deserve it. You have to show the public you continue to maintain those skills and attributes to keep it. This is not a one-time get, keep it forever designation but an ongoing commitment to your clients that you are truly at the top of your game.